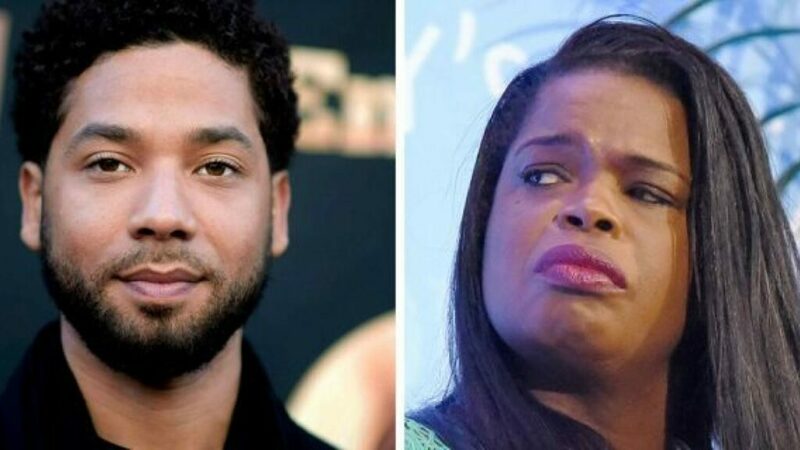 An anonymous attorney in the Cook County prosecutor’s office lambasted state attorney Kim Foxx over her handling of the high profile Jussie Smollett case, and the tendency of her and her allies to resort to accusations of racism when criticized, in an a letter provided to CWB Chicago on Monday. Foxx’s office dropped all charges against Smollett last month after he was indicted by a grand jury for allegedly staging a bigoted and politically-motivated hate crime against himself with the help of two friends who were paid for their services. Citing his record of community service and the technically victimless nature of his alleged crime, Foxx’s office dropped all charges without requiring that Smollett admit guilt. After briefly reviewing the history of racial discrimination in Chicago, the unnamed assistant state’s attorney attacked Foxx and her allies for casting criticism of the decision as racist. Fast forward to 2019 Chicago. The State’s Attorney’s Office (SAO) is an international laughingstock, as politicians, comedians, scholars, legal pundits and regular ol’ citizens alike blast its handling of the case against Jussie Smollett. The criticism is pointed squarely at Kim Foxx, the first African American female elected to fill the prestigious role of Cook County State’s Attorney. In the wake of said criticism, Ms. Foxx speaks at a Rainbow PUSH coalition meeting and states she cannot run an office “driven by anger and public sentiment.” She says “the goal posts change” when an African-American takes the position of head prosecutor, seemingly calling the critique of the SAO’s handling of the Smollett case racially-based and derogatory toward her people. And blaming Jussie Smollett fallout on race? That is just ignorant and self-serving. It is a complete bastardization of a bona fide movement against acts of racism, which, as a society we should obviously not tolerate. Much like Jussie Smollett’s acts bastardized a bona fide movement against hate crimes. The unnamed prosecutor goes on to accuse Foxx of insulting the Chicago police by dropping all charges without consulting them just weeks after their superintendent, Eddie Johnson, made an impassioned speech about the harm Smollett did to the community by staging a hate crime. When you demean law enforcement like that you not only strip them of their dignity, you also contribute to the violence in the city. Because young African-American boys and girls who hear the head prosecutor, Jesse Jackson, Bobby Rush, Al Sharpton, et al call police racist, act accordingly,” the letter reads. No prosecutors or police officers, and I mean none, thought that the just result would be for Jussie Smollett to go to prison. He was charged with a Class 4 felony. The anticipated outcome was a reduced sentence, a misdemeanor with some community service or restitution. This would have been done on the record, on a regularly scheduled court date, with the Chicago Police being notified, since they are the “victim” in a disorderly conduct of this nature. This case was handled markedly different from any other case at 26th Street. No one knows why, and more importantly, no one can explain why our boss, the head prosecutor of all of Cook County, has decided to so demean and debase both our hard work, and our already tenuous relationship with the Chicago Police Department. Just to be clear – this is not an attack on Ms. Foxx’s race, it is an attack on her ethics and her efficacy as State’s Attorney.